Yandex.Taxi is an online ride-sharing service launched in 2011 by Yandex (NASDAQ: YNDX), a technology company that builds intelligent products and services powered by machine learning. In February 2018, Yandex.Taxi merged with Uber in Russia, Armenia, Azerbaijan, Belarus, Georgia and Kazakhstan to create a new private company called MLU B.V., incorporated in the Netherlands. As of today, MLU B.V. operates ride-sharing businesses under the Yandex.Taxi and Yango brands, as well as under the Uber brand in countries covered by the merge agreement. It also operates food delivery service Yandex.Eats, as well as our self-driving car division. The service currently operates in 15 countries across the globe. Russia has always been our core market, but our ride-sharing service is also available in Armenia, Belarus, Georgia, Kazakhstan, Israel, the Ivory Coast, Kyrgyzstan, Latvia, Lithuania, Moldova, Serbia, Uzbekistan, Finland, and Estonia. In September 2018, we celebrated one billion completed rides. We use our own mapping, routing, and navigation technologies, as well as a machine learning-based order distribution system. This combination reduces the time drivers waste looking for passengers as well as time to arrive to passengers and to take them to final destination. All these factors help reduce the net cost of a cab ride. In the third quarter of 2018, Yandex.Taxi became profitable in its core market. As of September 30, 2018, our Taxi segment had approximately $400 million in cash and cash equivalents on its balance sheet. 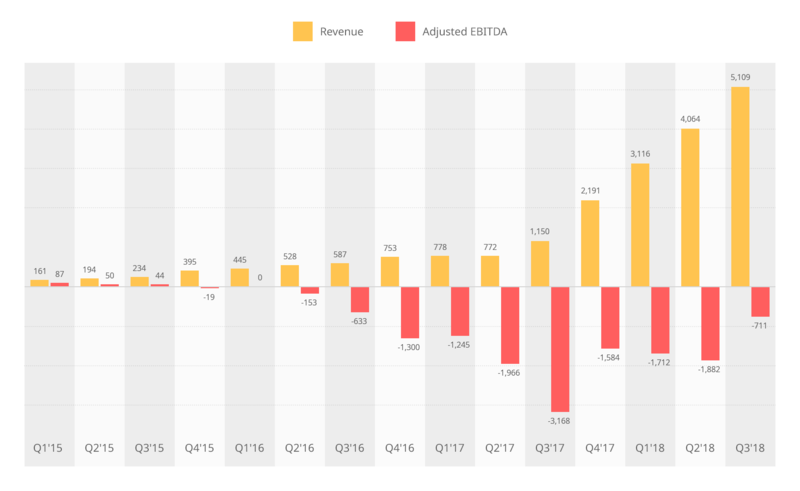 In the last nine months of 2018, Yandex.Taxi revenues grew 355% year-over-year, and the number of rides grew 178% in the same time period. Yandex.Eats was launched in February 2018 as a result of the combination of our December 2017 acquisition of Foodfox with Uber.Eats. The company has been rapidly developing since then. Orders grew ten times, reaching one million in December 2018. The service is available in 24 cities across Russia. We launched our autonomous car project in 2017, largely upheld by Yandex’s own mapping, navigation, computer vision, and object recognition technologies. We are developing the platform to operate vehicle without any human intervention in order to revolutionize the way people commute. We’ve been offering an autonomous ride-hailing service in Innopolis and Skolkovo since the second half of 2018 — where cars deliver passengers without anyone in the driver’s seat. We are testing our self-driving car in Moscow and Tel Aviv. Recently we’ve demoed it in Las Vegas at CES 2019, the biggest consumer electronics show in the world.